Chelsea Foy is the maker, blogger, and adventurer behind Lovely Indeed, a blog about all of the little things that make life lovely. Known for its bright, fun, friendly style, Lovely Indeed has been featured on BH&G, HGTV, Huffington Post, Apartment Therapy, and more. The Lovely Indeed Instagram feed has also been featured twice by Instagram as a feed to follow. Having resided for years in NYC, Chelsea now lives in her home state of California, where she spends her days painting things gold, oversharing, and generally making the world a lovelier place. When she's not making, she's off on an adventure with her three favorite buddies: husband Ryan, son Henry, and daughter Maggie. When we are talking to our little Maggie, we always make sure to tell her that she's not only sweet, but also smart and strong. 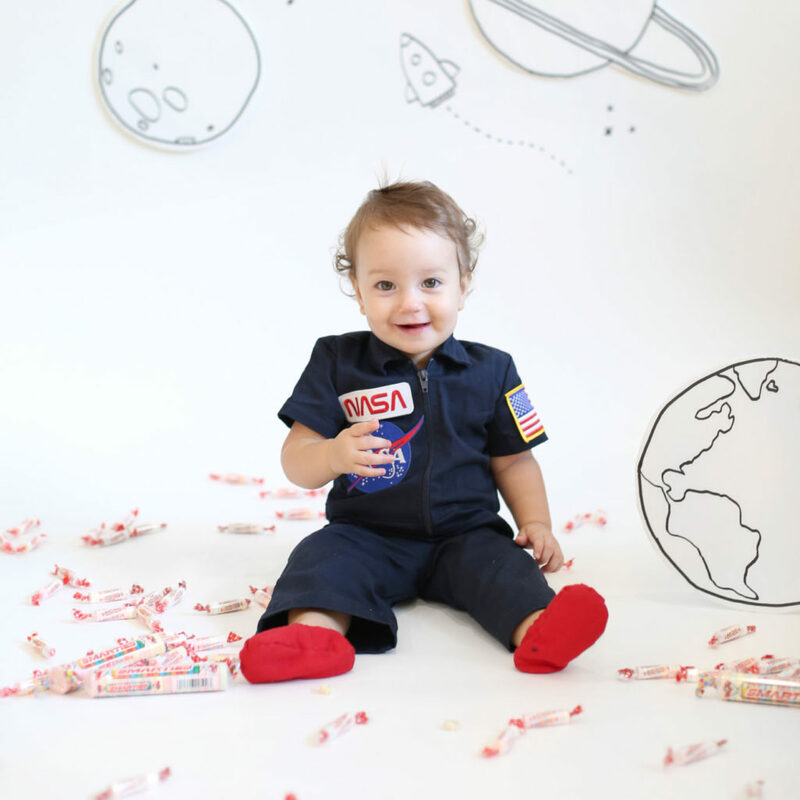 So for Halloween, we thought that Sally Ride would make a perfect smart, strong choice -- the first American woman in space would definitely have to be a smartie! 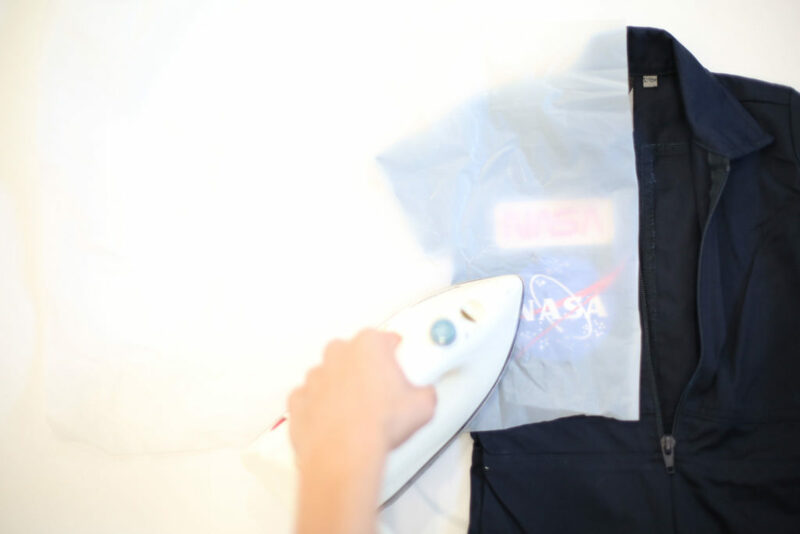 - Make sure they are completely dry before ironing on the patches. - Use a seam ripper to remove any existing patches. - Carefully work the point under the stitches of the patch and slice them apart until the patch is fully removed. 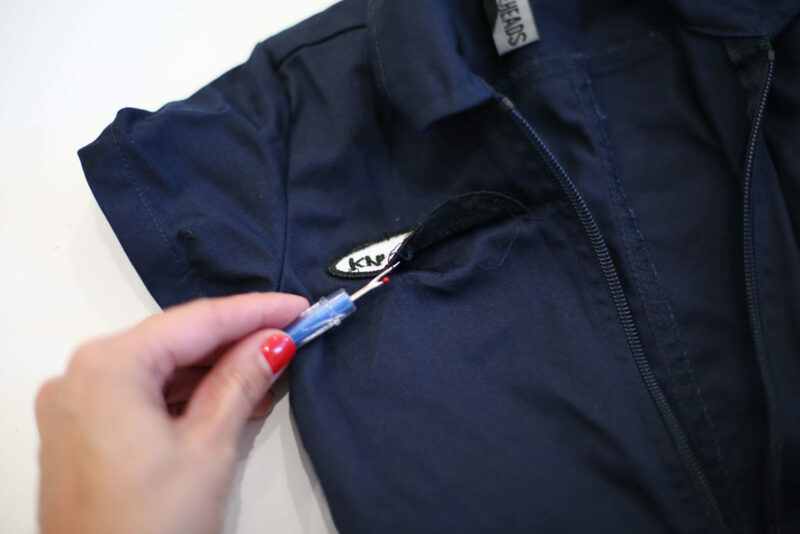 - Pull out any loose threads or debris from the coveralls. - Heat an iron to the highest setting. 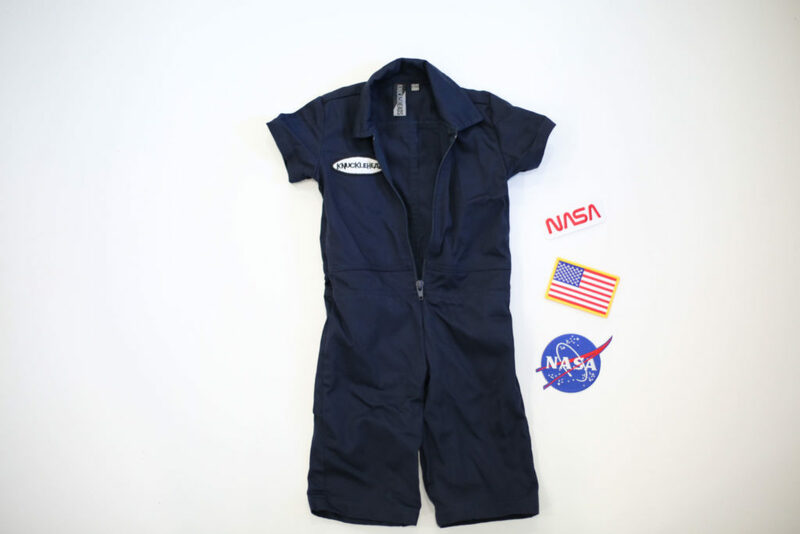 - Place your patches on the coveralls where you would like them. - Over the patches, lay a piece of thin cotton cloth or ironing paper. - Press firmly down over the patches with the iron. - Press for about 20 seconds, moving the iron slowly in all directions to cover the entire patch area. - Remove and check for any spots that have not adhered. - Repeat the process on any spots that need more heat to stick. 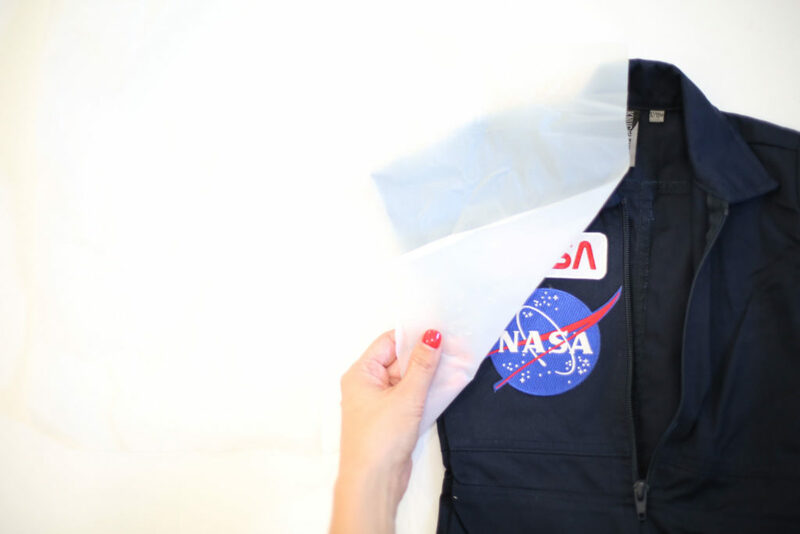 - For the best adhesion, flip the coveralls to the wrong side and iron again over the area. - Repeat the process for all patches.